It is once again time to meet one of the princesses of Great Britain. 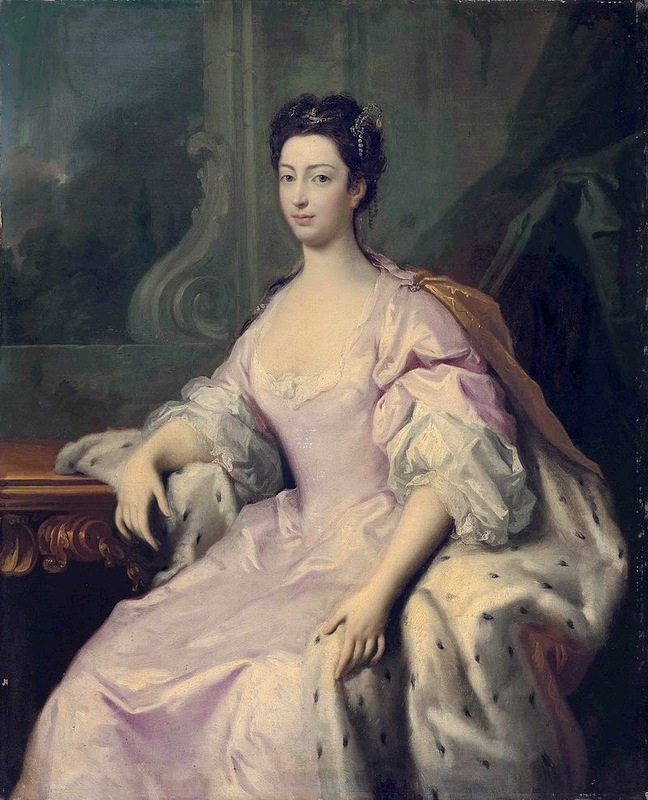 Today we welcome Princess Caroline, daughter of the man who would become George II and Caroline of Ansbach and a young lady who lived a life that was far from settled, though she was beloved by her family and friends. Her Serene Highness Princess Caroline of Hanover was born in Herrenhausen Palace, Hanover, just a year before her grandfather became George I. Although her family delayed their travel to England due to her sickly health, they eventually took up residence in St James's Palace and the young princess began a new life in the English court. She was adored by her parents and when Lady Mary Wortley Montagu brought variolation against smallpox to England, Caroline’s mother ensured that her children were treated against the infection. However, Princess Caroline never found happiness in her personal life. Infatuated with our old friend, Lord Hervey, she was never able to win his affection despite rumours that he was having affairs not only with her own brother, but with a number of ladies within her circle. Though she and Hervey were close friends, her apparent love for him went unreturned. He died when Caroline was just 30 and she was inconsolable, retiring into mournful seclusion at her home. Although she involved herself in religion and philanthropy, the princess did not emerge from her reclusive lifestyle and never married. Her health was fragile for many years and she died aged just 44, with her remains laid to rest at Westminster Abbey. I know, such a sad story. Thanks, Mary; a harsh reality of Georgian life!